If you’re just starting with Anatomy Trains or you want to see how the lines run around the body, this is a great webinar to get you familiar with the territory of each myofascial meridian. 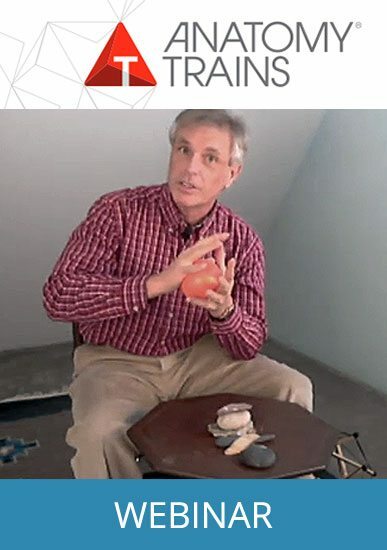 Designed for manual therapists and movement professionals of all modalities, from beginner to advanced practitioner, this webinar includes self-myofascial release, tools and palpation, as well as the lines applied to yoga poses, linked to the anatomical pictures. 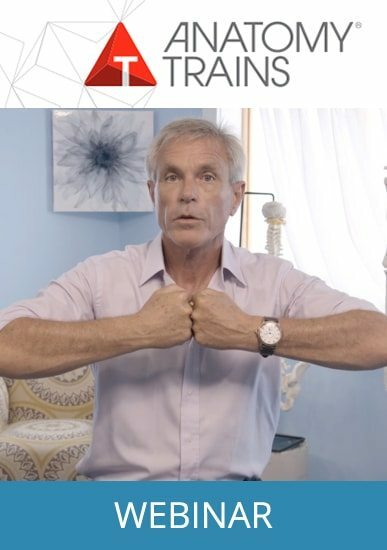 This webinar traces the 12 myofascial meridians, giving a guide to palpate the individual muscles, muscle groups, and fascial structures in each of the kinetic chains of myofascial strain transmission. Get a 3D sense of anatomical connections in the lived body connected to what you can feel with your hands. Don’t just learn the lines in your head, learn to feel them on the body, expertly guided by master bodyworker and author of Anatomy Trains, Tom Myers. Feel them on yourself or with another practitioner for best results. This webinar was extremely helpful for me. I was asked to take over the Intro to Myo classes for the Lourdes program and I used both the new Anatomy Trains text and this webinar to create my portion of the student’s education. I’m thrilled to report, especially as a new instructor, EVERYONE loved the class! Thanks for all you help and hard work!